good fishing lakes nearby sharbot? Hi gang, I am heading for Sharbot provincial park in couple of weeks. I am wondering if there is any alternative good fishing lake nearby? I am asking this because I aware that the Sharbot lake is in a provincial park, the fish in that lake might be "well trained" by your pro guys who have been there before. So in case I do not have a good luck in Sharbot, I would then willing to try any lake within 50km of Sharbot park. Big Gull is good early June or last week of May for Walleye. Thats my go-to lake every year for a week. Kirk Kove. After that you have to fish deep for Walleye. 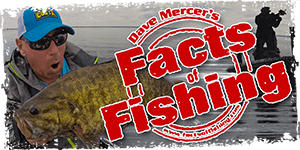 There is Bass, Pike, and a few Muskie there, but we don't target them. I love the Lake early 85% crown land. no boaters or personal water crafters to bug you, summer could be a different story. Lots of structure, watch the rocks. Bob's lake is nearby, has lots of ramps and types of fishing. Thanks a lot for all the input. I will do study based on the comment here. I am targeting LM & SM.